Easter Crafts With The Kids: Building Creative DIY Decorations! It’s that time of year again! Stuffing our faces with chocolate and hunting round the house for eggs are both orders of the day. On top of this, it’s time to get creative, sticking, gluing and folding up all manner of DIY Easter decorations. Easter, more so than any other yearly festival, affords us the benefit of being cheap to handle. After all, chocolate eggs won’t break the bank. This also extends to decorations, which tend to be cheap, handcrafted but beautiful goods. The use of handcrafted products can brighten up any home, and what’s more, they’re easy to make! This article will run down some brilliantly creative ideas, gathered from all over the web, that you and your kids can try at home. You won’t need a degree in art, you’ll just need that imaginative spark and a bit of glue. Sorted! A bunny crossing sign is a great way to add personality to the exterior of your home. It requires slightly more preparation than standard Easter crafts due to the woodwork involved, but the outcome is worth the time! You’ll need to find three pieces of old wood, and a pole to mount them on. On two matching pieces of wood, you can print a message of your choosing. The example uses ‘Bunny Crossing’ but why not get creative! ‘Chocolate Here’ or ‘Happy Easter’ would both be great ideas. Don't include a date on your message; you’ll want to be able to reuse the sign year after year. 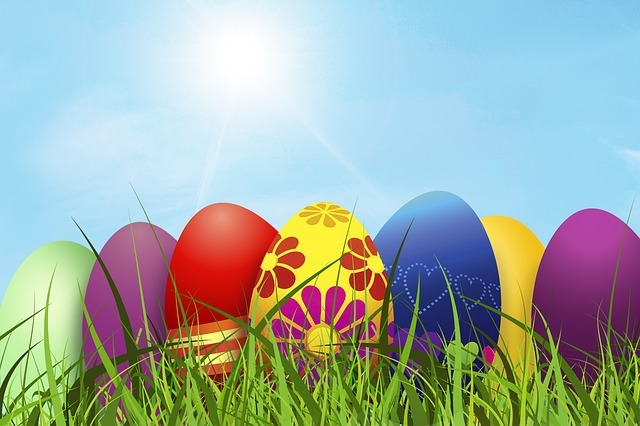 Before you print your message, paint the wood in a colour of your choice - keep it Easter related, with blues and yellows. Once you’ve finished, sand the edges down to smoothen it, then voila! All that’s left to do is repeat the process with the third piece of wood, but instead of a message, print an Easter symbol. Whether it’s an egg or a chick, be sure it stands out! #2: An Easter Egg Made From Buttons! Those old, useless spare buttons you have lying around actually do have a use. You can add a decorative flair to any room by transforming your colourful buttons into an Easter egg picture. All you’ll need to get going is an old picture frame, of any size. It depends on how much space you have to display it. Next, take a piece of patterned paper (or plain paper) and cut it to the size of the frame. Then all you need to do is gather your buttons! Be sure to purchase some hot melt glue sticks and guns from Glue Guns Direct, and stick those colourful plastic bits to the paper in an egg-shape. If you make a mistake, don’t fret; the buttons will pull off and you can use a new piece of paper easily. To really spruce up the finished product, save some buttons for the frame. Glue them to set intervals along the edge to add a bit more colour to the overall look. If you’re out of buttons, pipe cleaners or glitter would be suitable choices. If it’s more chocolate you’re after, then you’ve found the right DIY decoration. Of course, a traditional pinata resembles a donkey of some kind and is filled with sweets, and an Easter pinata is similar. It will be shaped like an Easter egg and can be filled with all manner of treats and goodies. To start, you’ll want to inflate your balloons to a suitable size. If it’s for kids, smaller is probably better. Then, you’ll want to paper mache some coloured paper the outside of the balloon, and leave it to set. Once dry, simply repeat the process for layer two. Once it’s all set, it should be hard as rock. Now, you’ll need to pop the balloon by either cutting off the knot or by poking a pin through the paper mache. Once you’ve removed the balloon, you can fill the egg up with sweets! If you want to, you can glue a piece of ribbon to the egg and hang it from a wire, but this isn’t necessary. You could even have a mini game of dodgeball with chocolate filled eggs! So there you have it! 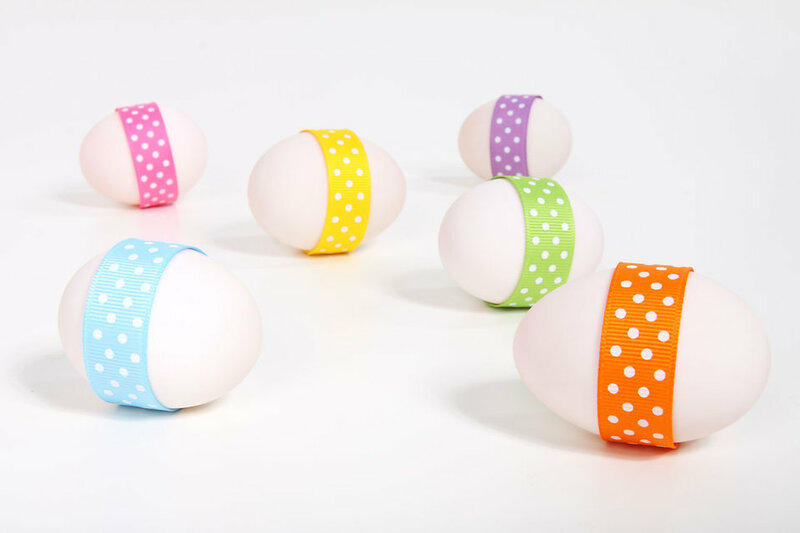 These Easter craft ideas can quickly brighten up any home and get you in the seasonal spirit. Of course, take care to ensure your kids don’t ingest any harmful materials, or use any sharp objects. Stay safe, and more importantly, have fun! And, for more chocolatey goodness, why not enter our Easter giveaway?! These are some really neat ideas for Easter!